In 1865, enslaved Africans on Galveston Island, Texas, had been declared free two years earlier but didn’t know it. With the United States still divided over the institution of slavery and recovering after the Civil War, members of the Confederacy weren’t eager to spread the word. Only after Union soldiers, led by Major Gen. Gordon Granger, worked their way South for more than two years after President Abraham Lincoln issued the Emancipation Proclamation did word reach Galveston Island. On June 19, 1865, known as Juneteenth—a melding of the day’s month and date—the last remaining slaves in America were declared free. 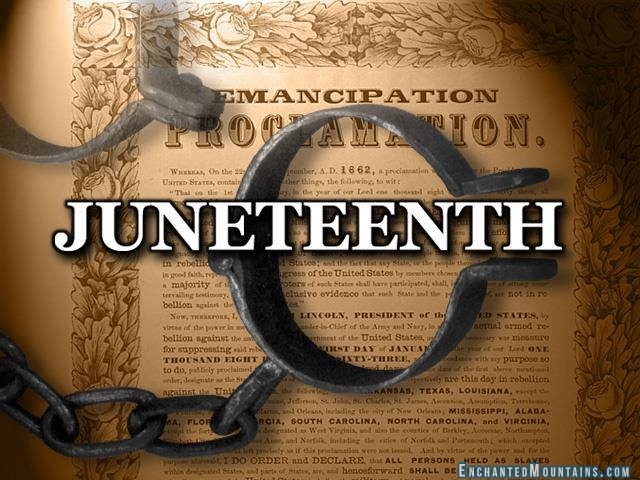 Juneteenth, America’s “second Independence Day,” is now celebrated around the country. It is officially observed in 43 states and is a state holiday in Texas, home of the last to know. There are conflicting explanations for the more than two-year delay of the news that slavery had ended in Texas. Among the possible reasons: Plantation owners withheld the news; federal troops allowed the delay so that slave owners could reap one final cotton harvest before the Emancipation Proclamation—which was issued on Jan. 1, 1863, to free the slaves in the Confederate South—was enforced; and a messenger who was on his way to Texas to deliver the news was murdered. Adding to the issue that made Texas the last holdout was that Union troops never made successful inroads against the Confederacy in that state. Collins, a descendant of those slaves, is using preservation to ensure and protect his ancestors’ place in history. In 2005 Collins bought Stringfellow Orchards, a plantation once owned by Confederate soldier Henry Martyn Stringfellow. In the years since, he has worked to preserve the property and has become a local Juneteenth champion, hosting an annual Juneteenth celebration on June 13 that featured Ruby Bridges, who in 1960 became the first African-American child in the nation to desegregate white elementary schools. Collins remembers riding his bike past Stringfellow Orchards and being warned not to enter its grounds. Now, as owner of the former plantation, he is preserving the property while preserving history. Collins is chairman of the Texas Historical Commission State Board of Review and is on the board of advisers for the National Trust for Historic Preservation. He and his wife also worked to have the Stringfellow house listed on the National Register of Historic Places. The property has been featured on PBS’ This Old House and on HGTV’s If These Walls Could Talk. The announcement that Gen. Granger read—General Order No. 3, declaring “absolute equality of personal rights and rights of property, between former masters and slaves”—brought with it rights: the right to assemble, to marry and to worship, as well as the right to work for pay. At Stringfellow Orchards, that meant double the going rate. Stringfellow paid his men—black and white—$1 a day versus the normal 50 cents. The legacy of that decision is still felt today, according to Collins. Art has also played a part in preserving the history of Juneteenth. Collins was part of the process to have paintings from artist Ted Ellis’ Juneteenth Freedom Project (pdf) featured in the Russell Senate Office Building in Washington, D.C., this week. Free at Last, the central painting of the series, was inspired by and completed at Stringfellow Orchards. Through a grassroots funding effort, Collins intends to raise money for the creation and installation of the painting and donate it to a national museum to be preserved for future generations. The painting depicts a freed slave surrounded by images significant to African-American culture and history, including a quilt, signifying storytelling; a broken chain representing freedom; and a tear for the pain and struggle suffered during slavery. Ellis completed the painting in 2008 at Stringfellow Orchards. “Sitting at the property with my canvas, brushes and paint, I was moved to capture the importance of this event and why, in 1865, the last vestige of slavery was officially ended,” Ellis tells The Root.